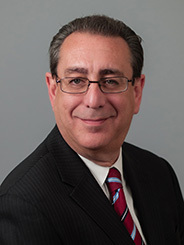 Mr. Schuman is a partner in the firm and a member of the Litigation Practice Group. He represents victims of medical and dental malpractice as well as those who have sustained significant injuries in construction related accidents. He also represents those who have been injured by reason of automobile accidents including tractor-trailer-rollovers, the ingestion of lead paint, product defects, explosions and the excessive use of force by law enforcement officers. Mr. Schuman has obtained verdicts in excess of seven (7) figures and settled numerous cases in like amount. He also serves as defense counsel in civil litigation, engages in commercial litigation, estate litigation, and has been designated as a Court Appointed Fiduciary on numerous occasions. Mr. Schuman has briefed and argued many appeals in his areas of expertise. Prior to joining the firm, Mr. Schuman was of counsel to our firm for many years when he was also a member of Schuman Sall & Geist, and before that was associated with several other firms bearing his name. He was an associate with the firm of Baumeister & Samuels which specialized in aviation crash litigation, and began his career with the Law Department of the City of New York where he rose to the position of Deputy Chief of the Special Trials Unit in the Tort Division.